Reaching for the Moon is the girl’s version of Lucy H. Pearce’s much-loved first book, Moon Time: a guide to celebrating your menstrual cycle. Written especially for girls aged 9-14 as they anticipate and experience their body’s gradual changes. 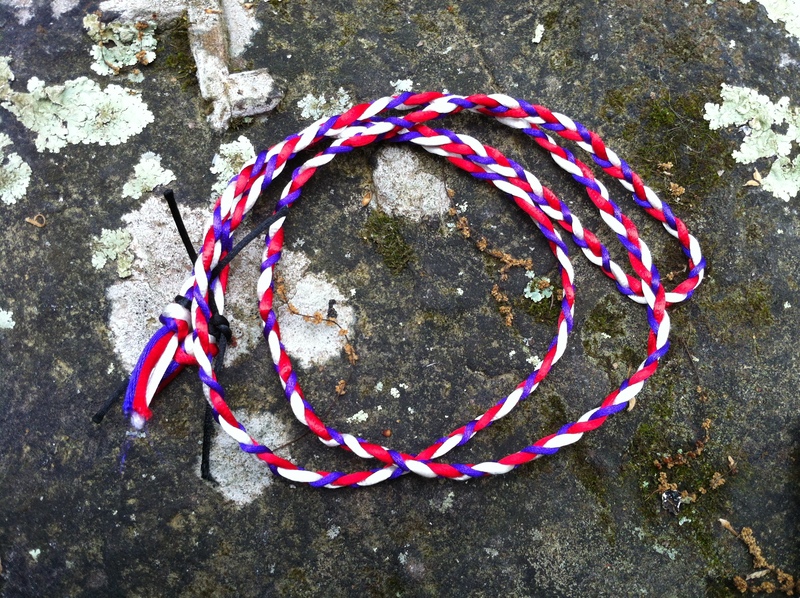 Maiden threshold cord from past ritual. The book is also available to buy as a signed paperback + bookmark + FREE greetings card of one of Lucy’s paintings (usually €2.50) from The Happy Womb. £6.99 + P&P. This book comes at the perfect time for me because I’m getting ready to present a Moontime session at the upcoming LLL of Missouri conference! Disclosure: I have no financial relationship with the author or publisher and I received no compensation or other benefit in writing this post—I just shared the information because it is cool and free and good! ← Birth on the Labyrinth Path: Anniversary Book Giveaway!